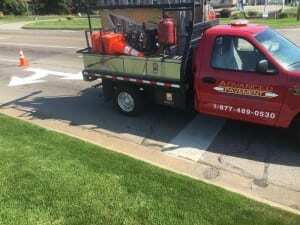 Our professional pavement markings work around the clock in all weather extremes for your safety. 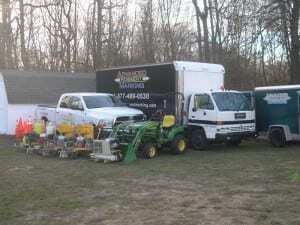 Servicing municipalities, racetracks, parking lots & more. 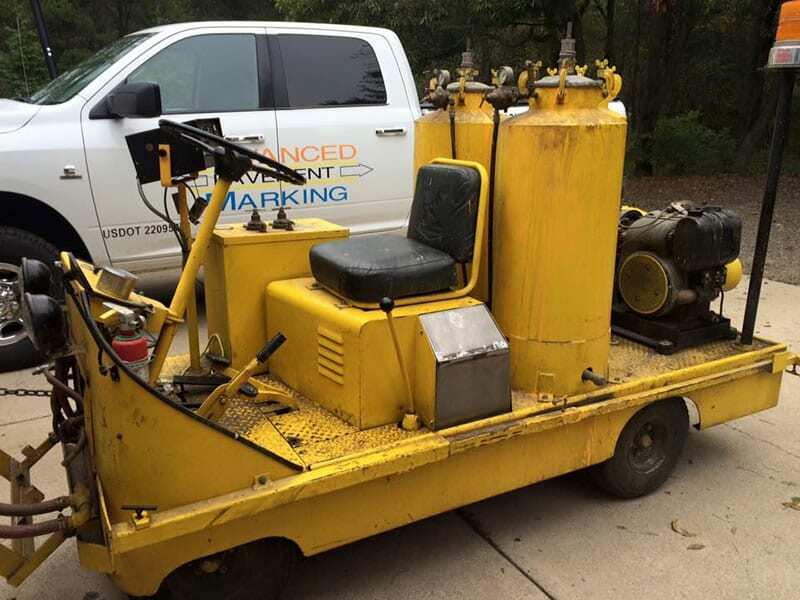 Our specialized equipment ensues all markings meet or exceed industry standards. 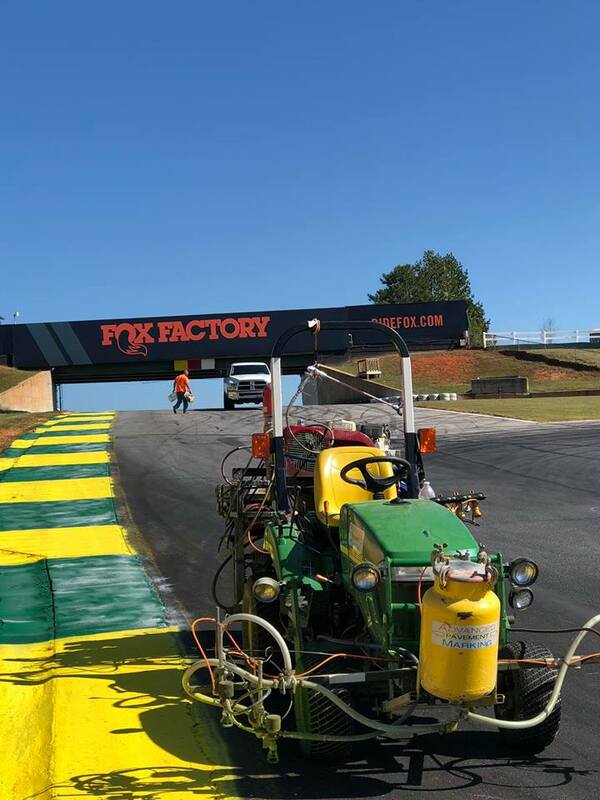 APM invests heavily into the best equipment and materials with proven performance and track records for longevity, performance and reliability. 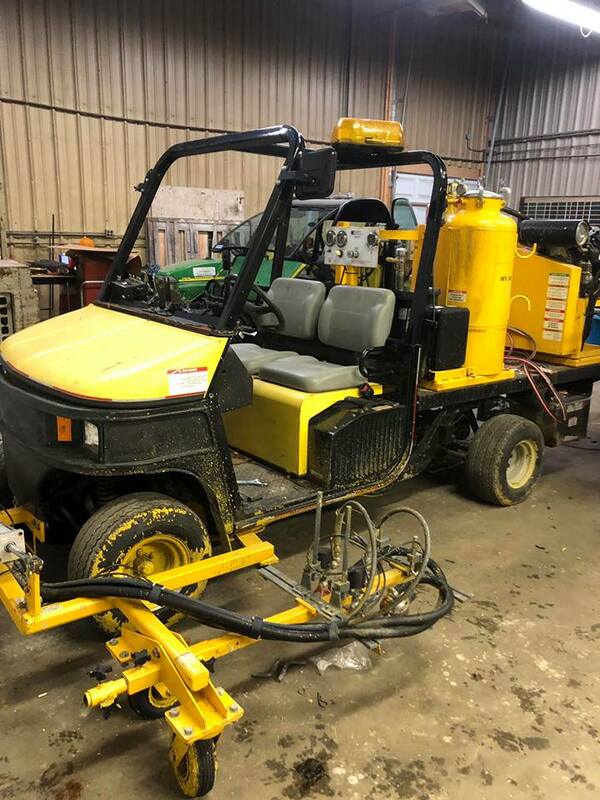 We do extensive research, field tests and manufacturer data comparisons analyzing materials and equipment to ensure they can meet our high level of standards and performance expectations. Our clients and projects deserve the best period; including top notch equipment and materials no matter the investment cost we don’t compromise. 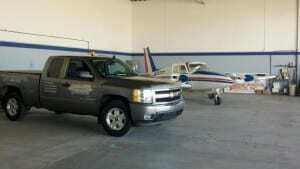 Contracted by municipalities, airports, US military and all types of businesses from around the country. 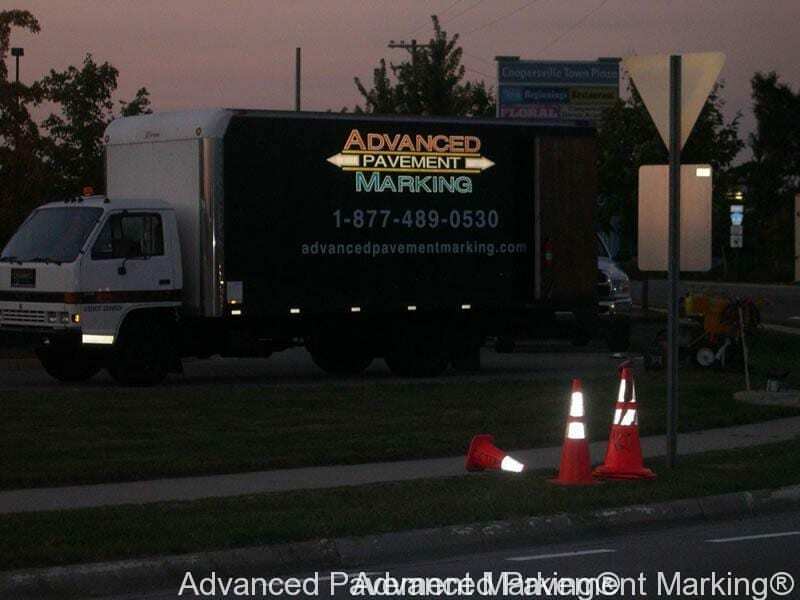 We are the professional pavement markings contractor they trust, so can you! 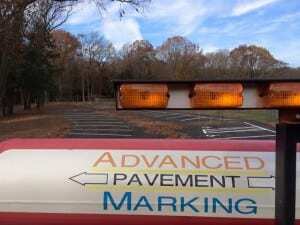 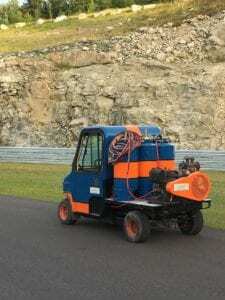 Advanced Pavement Marking invests into only the best PROVEN pavement marking machines. 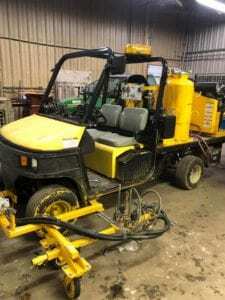 We do not cut corners on our projects or in our machine purchases. Our equipment is far diffent from a standard parking lot striper. 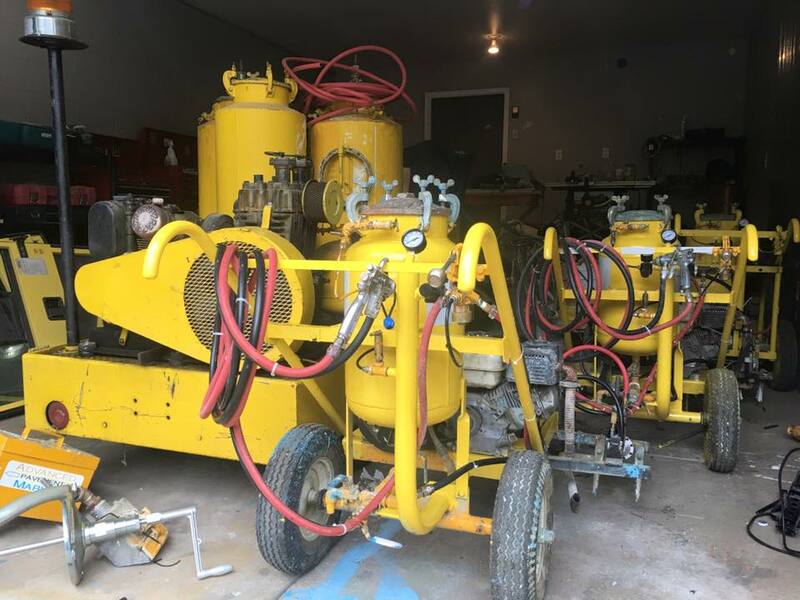 APM’s machines are specialty built for various project applications and services. 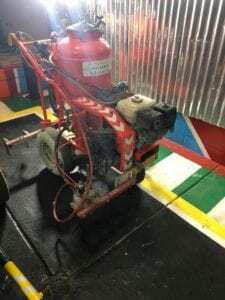 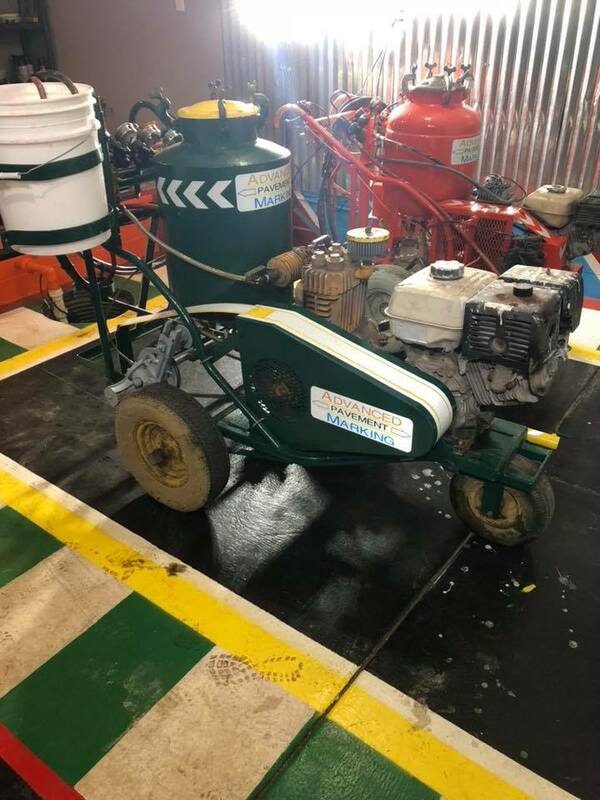 Advanced Pavement Marking® owns and operates several types of pavement marking machines from almost all of the industry leading manufacturers. 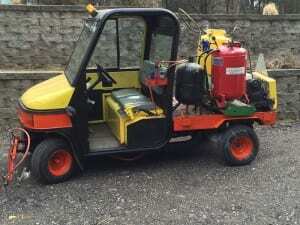 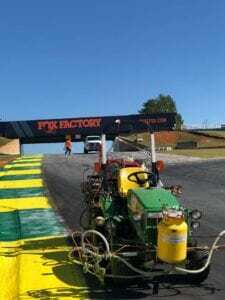 Our preferred pavement marking machines are from Kelly-Creswell. The KC brand has been making PROVEN and DURABLE machines since 1937! 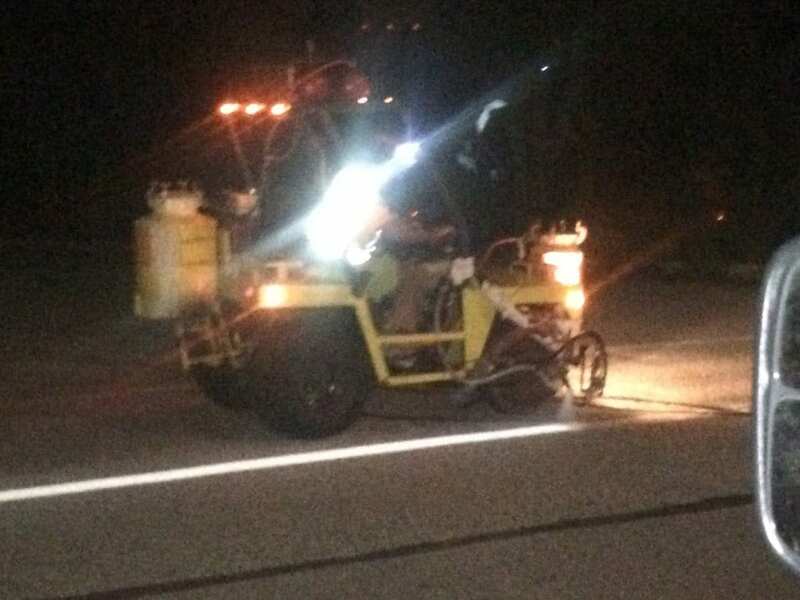 Hand built in Ohio their machines have been our most trust worthy asset for pavement marking projects big or small. 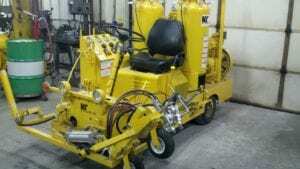 APM crews enjoy less downtime and more reliable production output aboard the Kelly-Creswell machines. Other line striping equipment in our fleet includes striping equipment from Graco, Titan. 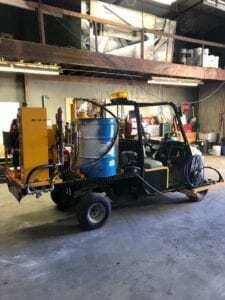 When comparing our equipment to other parking lot striping and line painting companies you will quickly notice our machines are larger, heavily built, multi-gun and have a similar appearance to long line highway marking trucks. 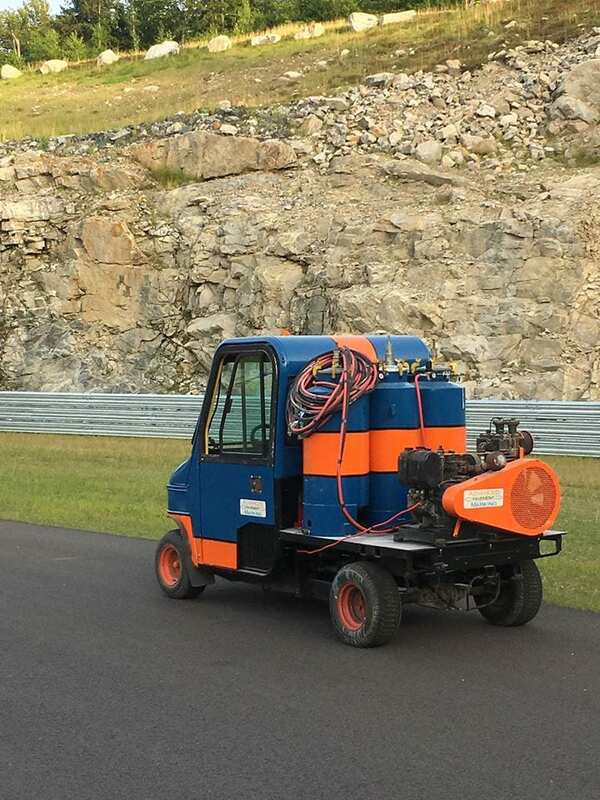 It is not uncommon for our machines to operate 24 hours a day with very little ‘idle” time or rest during peak season. 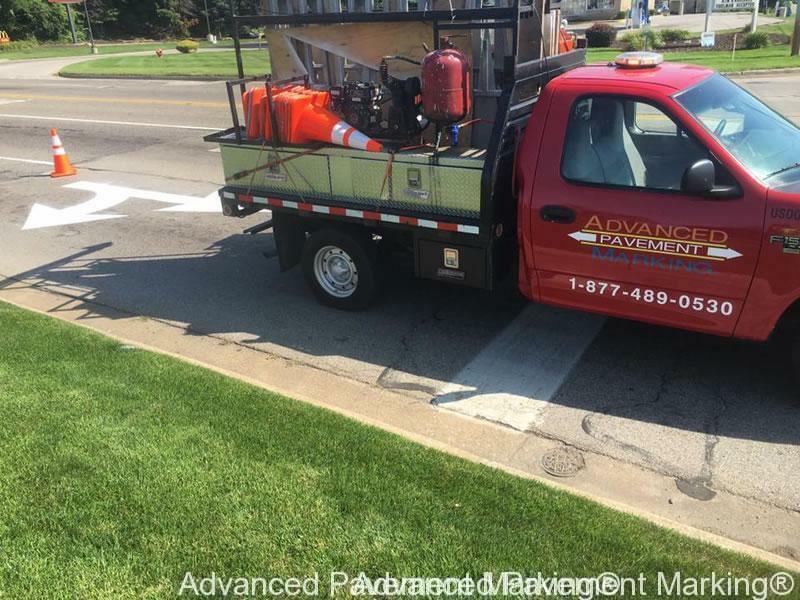 We are the experienced professional pavement markings contractor you can trust! 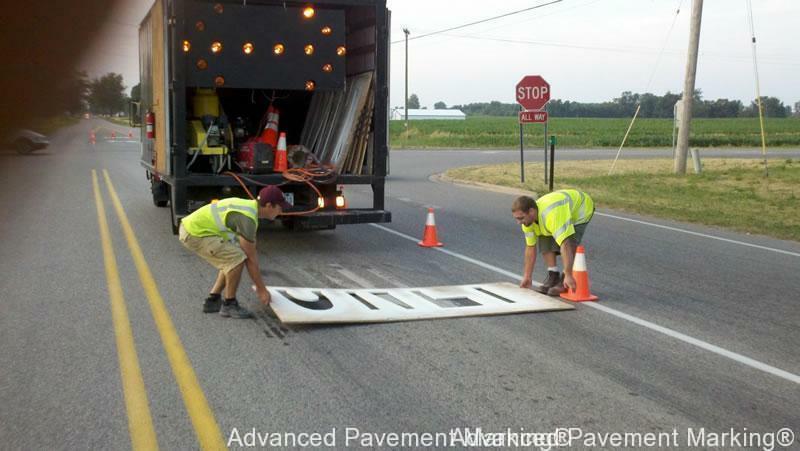 Advanced Pavement Markings name and reputation was built on quality and reliability since 2009. Having a no compromise philosophy and business practices means we do not cut corners in our work or materials. Using ONLY “pre-qualified” or other test data approved materials meeting: FAA, various states DOT or other engineering grade requirements. 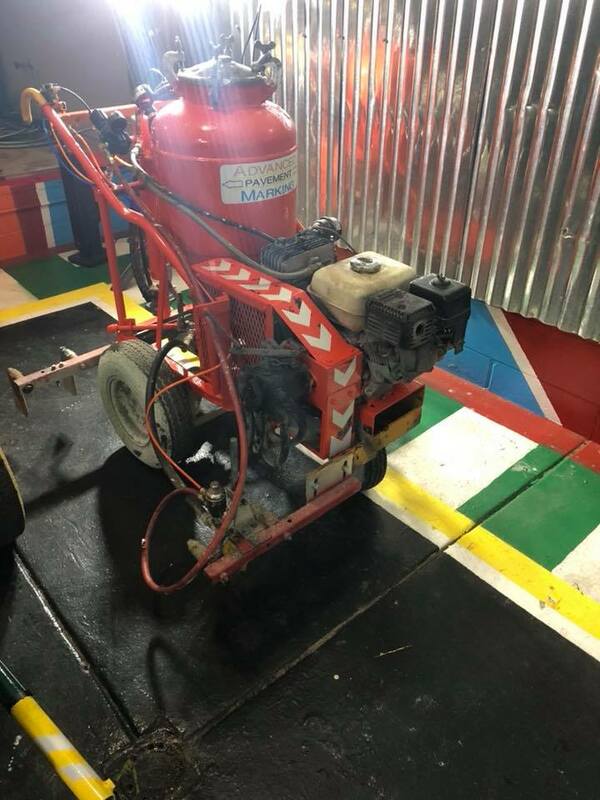 This high level of quality and certification standards means it is necessary for us to purchase materials direct from specific “qualified” manufacturers (commercial services). APM does not buy low grade “off the shelf” products found in stores or “do it yourself” suppliers. 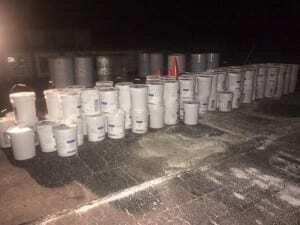 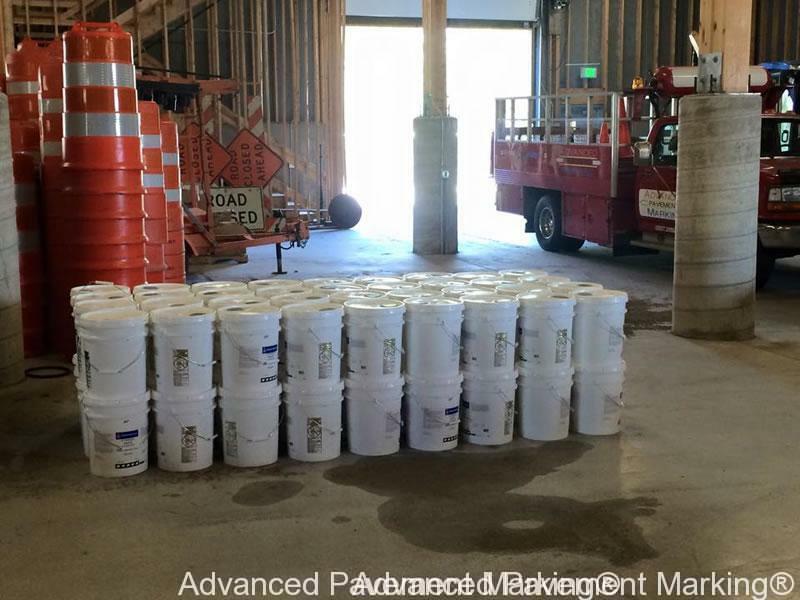 Our paint comes in a wide range of sizes: 5 gallon pails, 55 gallon drums, 275 gallon totes. 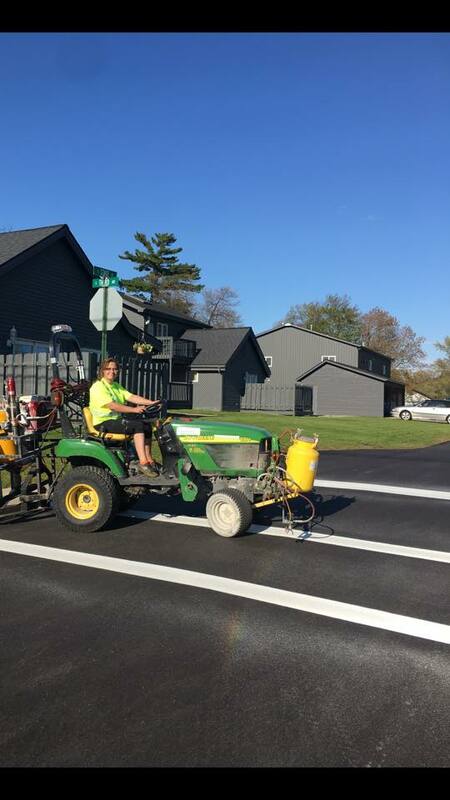 In a single season we typically use more materials than a typical striping company might use in 2-5 years!